Services: BriarPatch Co-op is a member-owned community market. BriarPatch provides a balance of affordable natural, organic and local products and is committed to customer service, consumer education and supporting local economic renewal. BriarPatch carries the finest lines of organic, healthful and nutritious foods, including a large natural meat, poultry, and award-winning fish department. In addition, their extensive bulk foods section entices shoppers to reduce packaging waste while saving money! BriarPatch also has large vitamin, body care and houseware departments with knowledgeable staff to help answer your questions. The bi-monthly newsletter is a useful resource as it offers delicious and healthful recipes, highlights community connections and local resources, and features important current events related to food, health, and nutrition. Robin’s Thoughts: I have been a BriarPatch member for 22 years. The co-op is my favorite grocery store and deli and I definitely recommend shopping there for many reasons, one being that there are no products with trans fats on the shelves. Other reasons are the incredible produce that is offered, as well as the cheese selection and the delicious deli items. 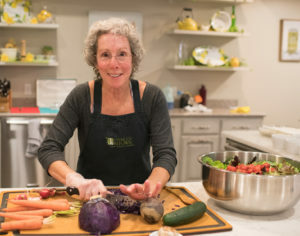 BriarPatch is committed to our community as is evidenced by their support of local farms, annual donations made to various non-profit groups, education offered in the newsletter, and on-site classes taught by local experts in the Community Room.